The Samlerhuset Group has won an international Business award, the Bronze Stevie® Award, for the Waterloo 200 campaign. 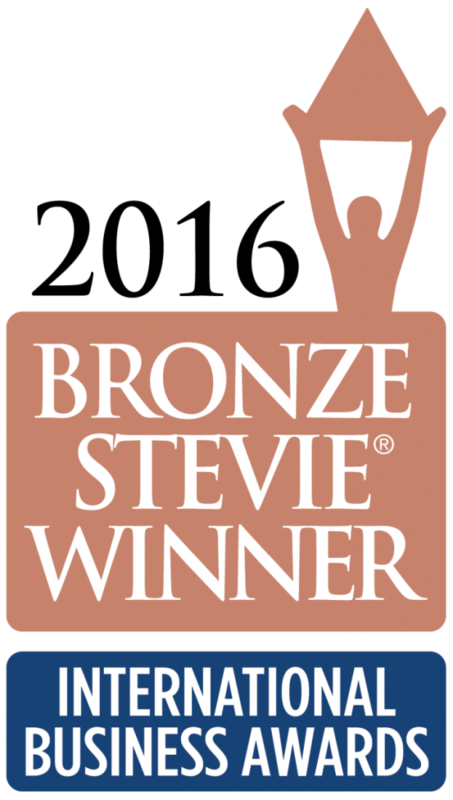 The Samlerhuset subsidiary in the UK was named the winner of the Bronze Stevie® in the category PR Campaign of the Year – Events & Observances. The International Business Awards (SM), The Stevie® Awards, have been called the world’s premier business awards program and this year the IBA received more than 3 800 entries from more than 60 nations and territories. The winners were determined by more than 200 executives worldwide who participated in the judging process. November, 2014. The production of the Pistrucci-medal for the first time. 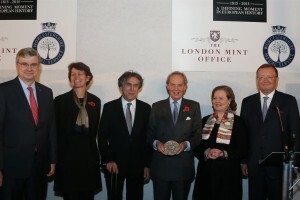 The medal was presented to the Ambassadors representing the allied forces at a VIP-event at Apsley house, the Duke of Wellington´s London home at Hyde Park Corner. January, 2015. 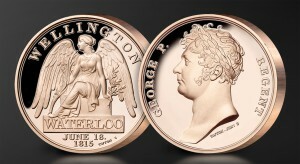 500,000 free Waterloo Campaign Medal replicas were offered to the UK public. June, 2015. 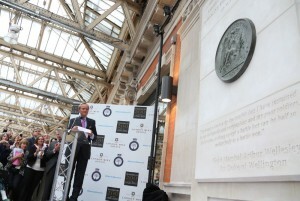 Samlerhuset installed a Waterloo Memorial at Waterloo Station in London. Ambassadors, historians, journalists and the Duke of Wellington were all present during the unveiling. December, 2015. 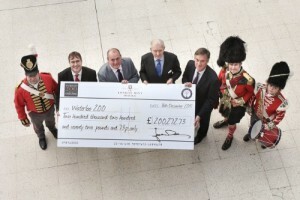 A cheque of 200,000 pounds was presented to the charity Waterloo 200 in front of the new Waterloo Memorial. The campaign was successful thanks to a tremendous team effort by people from design, marketing, sales, customer service and PR, not only in the UK, but across many of the markets in which Samlerhuset operates. This is the second time that Samlerhuset wins an international PR-award. The first time was in 2012 for the 1933 Double Eagle tour.